Government of India has sanctioned, setting up of three new Naval Air Squadrons in Gujarat and Tamil Nadu. Besides this, the Central Government has also sanctioned manpower towards manning additional aircraft in existing Dornier Surveillance Squadrons in Kerala and Andaman Islands. It is pertinent to mention that the contract for procurement of 12 Dornier aircraft was signed with HAL (Kanpur) on 29 December 2016 with delivery commencing in January 2019. 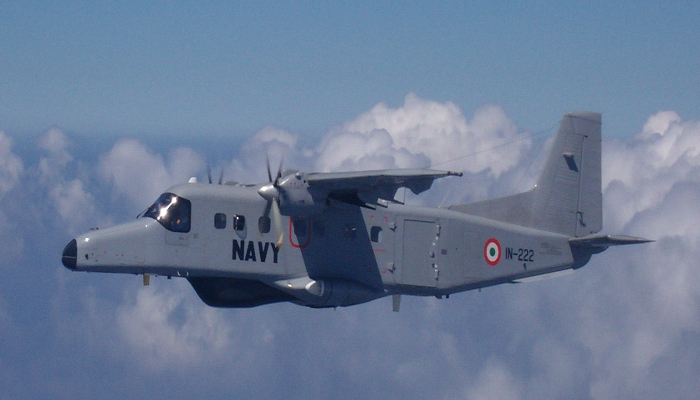 This is a substantial contract for the indigenous HAL built Maritime Surveillance version of the Dornier 228 aircraft. The new Dornier 228 aircraft being delivered under this contract are fitted with improved ‘state-of-the-art’ sensors and equipment which include glass cockpit, Advanced Surveillance Radar, ELINT, Optical sensors and networking features. The aircraft would enhance Maritime Domain Awareness of Indian Navy through round the clock sensor based surveillance and provide targeting data in areas of operation to ward off terror and other threats from sea. This addition would further strengthen Indian Navy’s efforts at Coastal Security of India’s vast coastline of over seven thousand Kilometers.